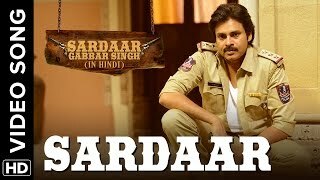 Sardaar Gabbar Singh is an upcoming Telugu action drama film directed by K. S. Ravindra. 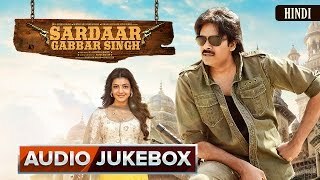 Produced by Pawan Kalyan and Sharath Marar jointly under their banners Pawan Kalyan Creative Works and Northstar Entertainment in association with Eros International, this film is a sequel to Kalyan\'s earlier film Gabbar Singh (2012). Besides penning the film\'s story and screenplay, Kalyan plays the protagonist of the film. Kajal Aggarwal plays the female lead and Sharad Kelkar plays the antagonist, marking his Telugu debut. Devi Sri Prasad composed the score and Arthur A. Wilson was its cinematographer. Initially titled Gabbar Singh 2, the film\'s production began on 21 February 2014 in Hyderabad with Sampath Nandi directing the film. He was later replaced by Ravindra after which the principal photography began on 29 May 2015 at Malshej Ghat in Maharashtra. Sardaar Gabbar Singh is scheduled for a worldwide release on 8 April 2016 along with a Hindi dubbed version of the same name.